Whether you’re looking to earn some extra cash on the side or you’re looking to change your career, both Lyft and Uber are viable long-term options. Ridesharing is incredibly popular and can be lucrative for drivers in the right area. It can pay so well that there are many drivers who have quit their jobs to drive for Lyft and Uber full-time. While Uber is still the #1 service for ridesharing, Lyft is quickly catching up. 2017 saw stagnant growth for Uber, while Lyft’s growth exploded. If you’re interested in earning some extra money, driving for both Uber and Lyft is a great place to start. Understanding which platform is right for you can be tricky, which is why we’ve decided to highlight the key differences between driving for Lyft vs. Uber. Here’s what you need to know to help make your decision. So, should you drive for Uber or Lyft? Click here to start earning money with Lyft. Founded in 2009 in San Francisco, Uber is the world’s most popular ridesharing app. Uber can be used in over 60 countries across the world, meaning it’s used by millions of people every day. With more and more users signing up for Uber every day, there’s always a need for more drivers. Whether you’re in a rural area or a busy urban environment, there are always riders who are in need. Driving for Uber is a great way to get started with ridesharing and is a fantastic platform if you want to drive for years to come. 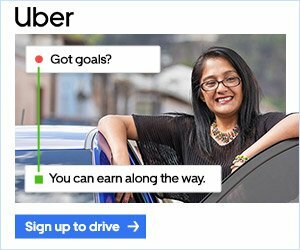 Click here to start earning money with Uber. While the company has certainly gone through changes in the span of a few short years, there’s a lot to love about driving for Uber. First and foremost, Uber is virtually everywhere. No matter where you are, you usually won’t have much difficulty finding someone who needs a ride. 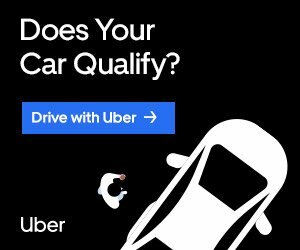 Uber is incredibly accessible, which is why it is the best platform to launch your driving career. New drivers need to feel comfortable and confident when driving, and that only comes with time and practice. The Uber Driver app is incredibly simple and straightforward, making it easy to find and accept new rides. Recent updates have added useful features and clearer navigation, meaning you’ll have everything you need right in the driver app. One of the major differences between Lyft and Uber was that Lyft allowed riders to tip their drivers and Uber did not. Uber recently started allowing riders to add tips to their ride, which is great for drivers. You’ll also get paid weekly, which means you don’t have to wait as long to get your money deposited into your account. One of the best reasons to drive for both Uber and Lyft is the freedom of a completely flexible schedule. Simply sign in when you want, take a break, and make your dream work schedule throughout the week. If you’re just starting out driving or if you’re looking to make consistent cash on the side, Uber is the way to go. Driving for Uber is a fantastic experience, but no company is perfect. One of the biggest cons that current Uber drivers report is the updated pay structure. With the introduction of tipping right in the app, the percentage of the fare that drivers take home was reduced. Since tips are completely voluntary, there is less consistency with how much you might be earning per ride. With a lower guaranteed amount per ride, relying on tips can be stressful and inconsistent. However, most riders do end up tipping their drivers, and you get to keep most, if not all of your tip. There are expenses that Uber will not cover, such as regular maintenance, gas, and car insurance. You need to be able to budget your earnings with Uber to ensure you set enough aside to cover those expenses every month. Thinking about where you live and how often you want to drive can help you decide whether Uber is the right platform for you. Lyft was founded just a few years after Uber in June of 2012 and has kept up nicely with the rideshare giant ever since. At the #2 rideshare service spot, Lyft is not at all far behind Uber. Lyft offers extremely generous new driver bonuses, which we will detail later, so if you’re new to driving, Lyft is a great way to earn a lot of money in the first few months of your driving career. If you live in an urban area that is densely populated, Lyft may be a better choice than Uber. Just because Lyft is younger than Uber doesn’t mean it’s necessarily worse. In fact, Time recently reported that Lyft driver earnings are slightly higher than Uber driver earnings. While earnings can vary from one location to another, when looking at earnings on a national level, Lyft drivers do take home more money at the end of the day. 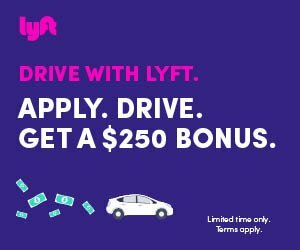 In addition to earning more per ride, Lyft drivers have the opportunity to earn various new driver bonuses. The exact amount of the bonus and the specific requirements to earn the bonus change throughout the year, but they can boost your earnings shortly after signing up. Much like the Uber Driver app, the Lyft Driver app recently went through a much-needed overhaul, making it simple for drivers to navigate the app, pick up new rides, and check their earnings. Drivers can tip you right in the app and it doesn’t impact your earnings per fare. Lyft has virtually always had a tipping option right in the app, allowing drivers to earn even more after each ride. Drivers can earn significantly more during busy hours. Also known as Prime Time in the Lyft app, these busy hours typically increase the cost of a fare for riders, meaning more money for drivers. While Uber’s surge pricing can increase fares by up to eight times the original fare amount, Lyft’s Prime Time price increases are often far less than that. Typical Prime Time increases are around two to three times the original fare price, which means that during the busiest driving hours, Lyft drivers may be earning less than their Uber counterparts. Where you live can play a major role in which ridesharing platform is right for you. If you live in a rural area or on the outskirts of a city and rarely go into the city, Uber may be your best option. Uber has a larger footprint than Lyft, meaning you’re much more likely to get ride requests in rural areas with Uber than you would with Lyft. Lyft is just as popular as Uber in major cities, so if you live in a densely-populated area, Lyft is where you should start. With big new driver bonuses and typically more earnings per ride than you’d get with Uber, starting out with Lyft will help you get acclimated to driving for a rideshare company while having the opportunity to earn more cash through new driver bonuses. We briefly mentioned surge pricing and Prime Time, but timing truly is everything. If you’re planning on making driving for Lyft or Uber your full-time career, you’ll need to learn what times earn you the most money. Hours that earn drivers the most in one area might not be the same in another area, so it may take some time to learn the different areas of your city and what times work best. With Lyft, certain drivers will get notified about Power Zones for the coming week. These Power Zones earn drivers much more than the typical per-ride earnings, and never fluctuate like Prime Time or surge pricing would. Uber notifies drivers when surge pricing begins and if they are in an area that will potentially earn them a lot of money. When Uber drivers are in an area with a lot of activity, the updated Uber app will tell drivers how long they should stay in the area to maximize their earnings for the day. By signing up for both Lyft and Uber, drivers can balance popular driving times in each app to make the most of their time and earn more money than they would by exclusively driving for Lyft or Uber. 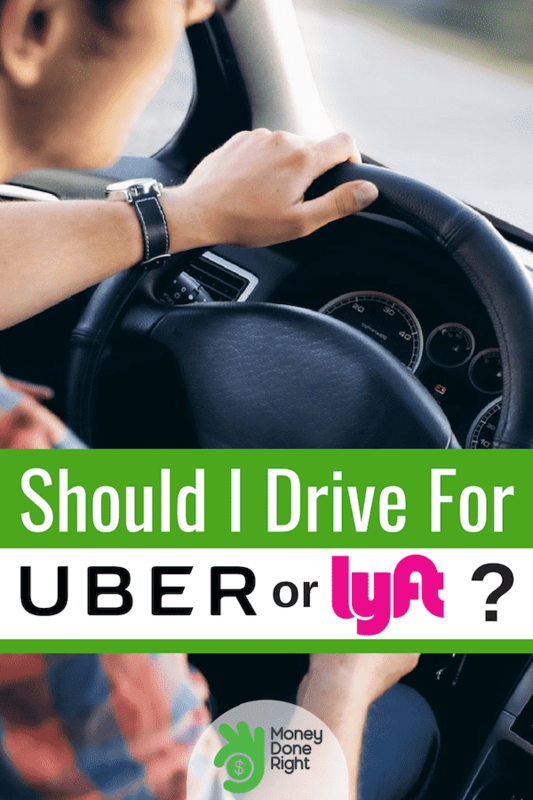 As we briefly discussed, Lyft drivers typically earn more per ride than Uber drivers, but that can vary drastically from one area to the next, and there are many other factors involved. One of the first things that new drivers consider is Lyft vs. Uber driver income. When looking at driving as an hourly wage, Lyft has a higher per-hour earnings rate than Uber. However, when considering how high surge pricing can get with Uber, Uber drivers have the potential to make a lot more during busy times. The bottom line is that while there are some differences in the per-ride pay structure and how fares are calculated, both Lyft and Uber give drivers the opportunity to earn a significant amount of money. Lyft and Uber bonuses are changing all the time, but both companies offer very lucrative bonus structures all year long. Often in the form of new driver bonuses and driver guarantees, there’s been a shift away from making a higher percentage for each ride to bigger, more frequent bonuses. When comparing Uber vs. Lyft pay, it’s easy to see how driving for both Uber and Lyft can mean significant earnings. For example, Uber has two types of bonuses, Quests and Boosts. Quests allow you to earn a one-time bonus after completing a certain number of trips in a specific time frame, usually during the busiest days of the week. For simply completing the rides you probably were going to do anyway, you can get some extra cash. Boosts are a new update to Uber’s bonus structure, offering higher earnings during busy hours in certain locations. Unlike surge pricing, Boosts are a guaranteed rate for a specific area that you’ll be able to see right in the app. The great news is that if there is surge pricing and a Boost going on, you’ll always be paid the higher rate. Lyft offers bonuses similar to Quests. The Weekly Ride Challenges allow Lyft drivers to earn one-time bonuses for completing a minimum number of rides on specified days and times. You’ll also have the chance to earn more during Streak Hours. In order to qualify for a Streak bonus, you’ll need to be alerted by Lyft that you’re eligible for a bonus during a short period of time. When you accept your first ride, you’ll need to stay online and accept every ride that comes through until you hit your minimum streak requirement. Both platforms offer regular Guarantee Bonuses, meaning you’ll be guaranteed a minimum amount of earnings for a set number of rides; for example, the guarantee might be $500 for 50 rides during a specific week. If you don’t meet the minimum earnings of $500 for that week and you complete 50 rides, Lyft/Uber will make up the difference. 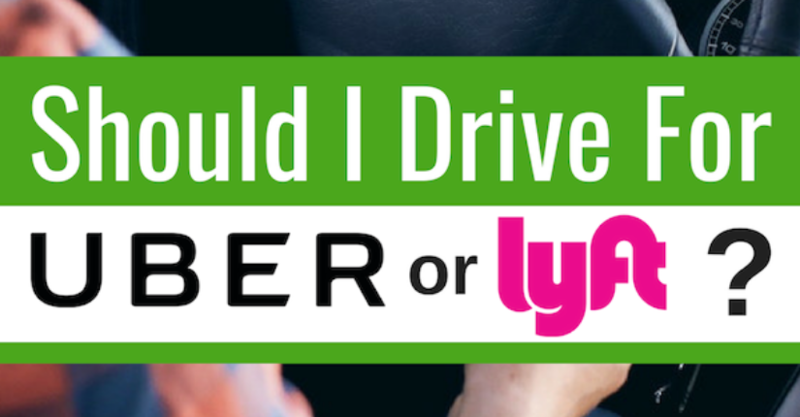 Can you drive for both Uber and Lyft? The best way to make the most out of Lyft and Uber is to sign up for both. If you live in a city, signing up for both will allow you to earn when you want, and you’ll find plenty of people who need rides. When you look at Uber vs. Lyft pay in 2018, it makes sense to drive for both. Why limit yourself to just one platform when you can sign up for both and have even more ways to earn? Click here to also start earning money with Uber. There are going to be scenarios where Lyft might be better than Uber, or where Uber is the right choice. Understanding when Uber works best and when Lyft works best will help you balance both platforms to maximize your earnings. At the end of the day, both platforms are simple to use and they both offer plenty of ways to earn money. If you want to drive for Uber or Lyft, drive for both.